I put together a group called Southwest Scion. 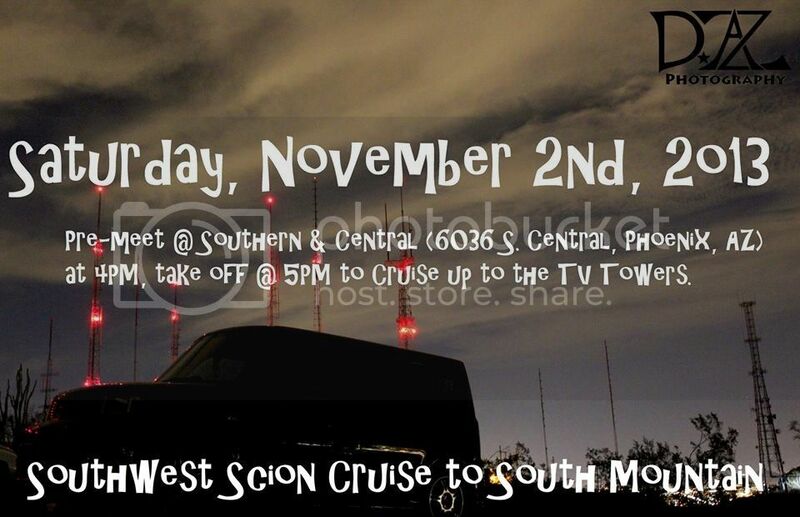 We are doing a meet and cruise up South Mountain, along with a photoshoot. All Scions are welcome. 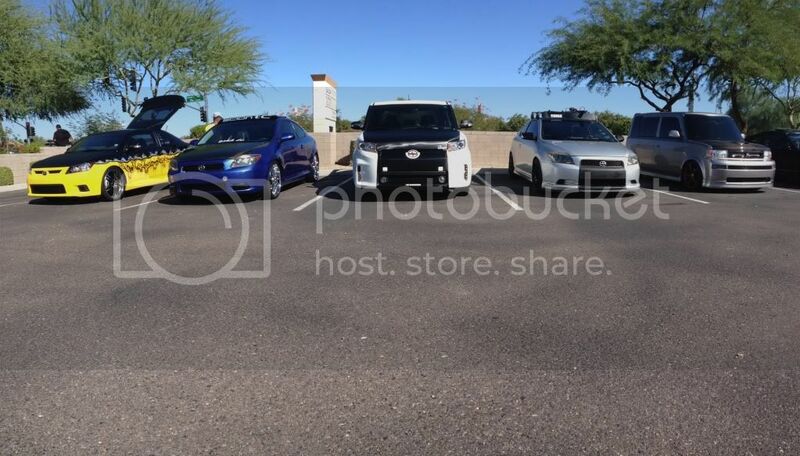 Here are a few pictures I took today at a benefit car wash we did. A tC built by a kicker certified builder. It's all kinds of ridiculous. The blue tC has 2 15" type-R's and the most over the top lights all over. A bagged gen 1 xB on the other end. Just a few of us today. There are about 20 who are going as of now.